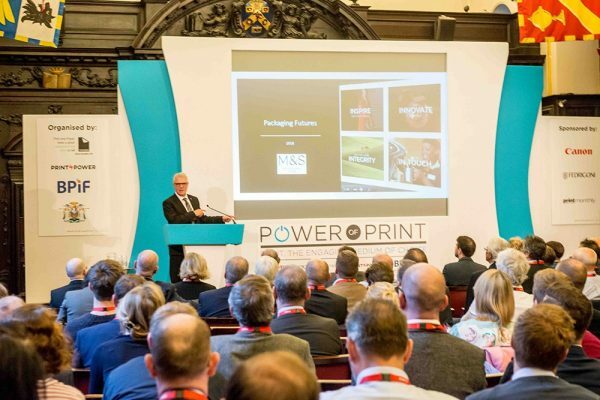 There was a packed auditorium at the Power of Print Seminar which took place on Tuesday 6th November 2018 at Stationers’ Hall. 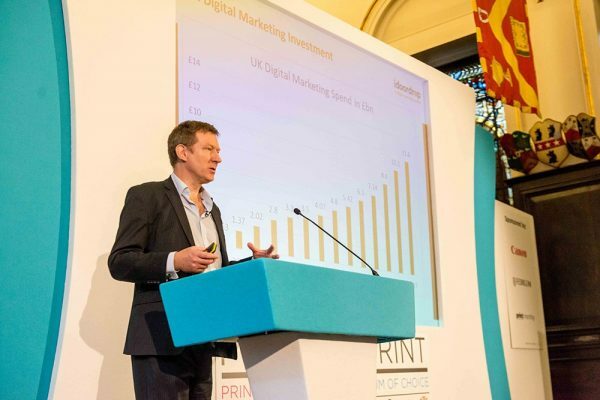 Now in its 8th year, the overarching theme of the day was to work together, to recognise the strengths and values of the print medium and show buyers, users and marketers why print is an essential channel. The event, operated and hosted by the Two Sides team, was opened by their Chairman, Martyn Eustace. Working to improve the environment Trewin Restorick of Hubbub outlined how his company does so in fun, interesting and engaging ways: see his blog here on reducing litter through voting bins. 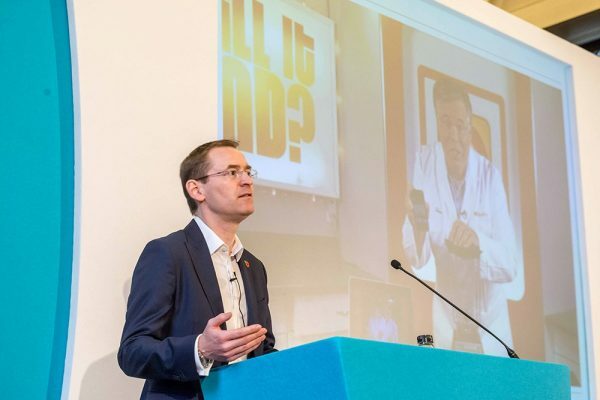 Trewin highlighted how the public is now sceptical of single use plastic recycling, that there is a desire for nostalgia with a twist, that companies are looking for truly sustainable solutions and that young people really care. These are circumstances in which print can stand out for its inherent qualities. 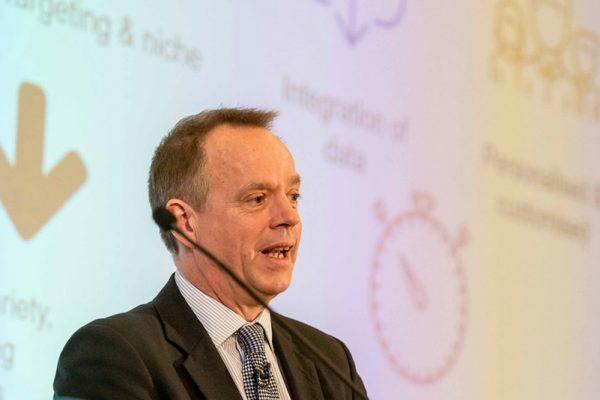 That companies are looking for sustainable solutions was echoed by Kevin Vyse of M&S who brought to life the problems with linear thinking and encouraged us all to embrace a circular economy. He underlined M&S’s commitment to Plan A and confirmed they are continuing to look for paper and board alternatives to replace single use plastic in their stores. However he also warned that there was often a difficult choice to be made as sometimes a more sustainable material led to a greater carbon impact. He urged the print industry to recognise the sustainable value of paper and board and to continue to innovate in this area. 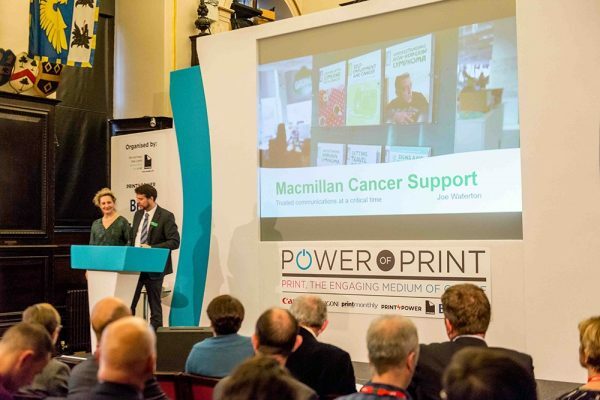 A reminder of the value of print came from Joe Waterton of Macmillan Cancer Support who explained how they rely heavily on print as a trusted communications channel. 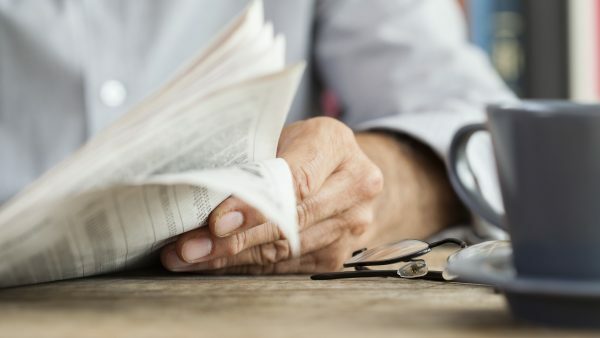 With the myriad of unverified facts and information available online, print is the one channel that people can trust, can be read at a time to suit, shared and saved for future reference. 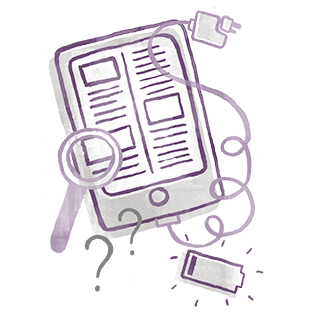 It is interesting to note that 3.6m people used their printed information resources during 2017 alone. It was especially touching to hear from L J, a cancer sufferer, who talked about how valuable she found the leaflet on how to explain your diagnosis to your children. She said that when she was first diagnosed, the leaflet gave her a sense of control. She felt it was a lifeline. It cost 50p. One example he shared was a mail pack consisting of a vinyl record in a printed pack which doubled as a record player. To play the record, you used your smart phone as the needle. A very interesting and engaging idea showing a clear need for the print element of the concept to make the whole virtual experience work. By the way, many people my age will understand an inherent love of experiencing music through listening to vinyl records. How lucky were we to experience this ‘immersive technology’ first hand? 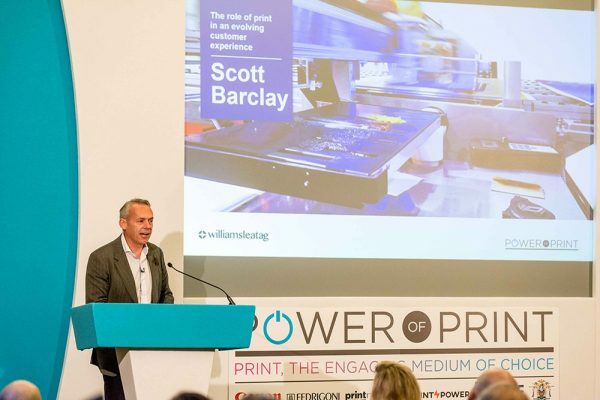 Scott Barclay from Williams Lea Tag showed their breadth of knowledge and experience by outlining how they valued print as part of the total customer journey experience. 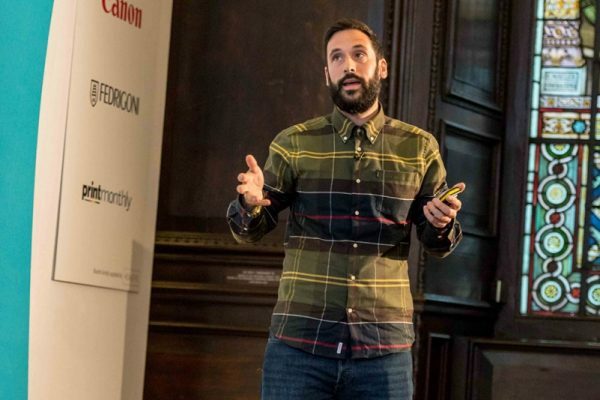 He shared the importance of print in a multichannel world and cited the pureplay companies who are now using print including ASOS, FaceBook and Airbnbmag. Interestingly he also confirmed that sustainability was again at the forefront of their clients’ requirements, giving an example of finding a solution of the challenge to replace a plastic loyalty card with a paper alternative. Again printers should be considering promoting their sustainable solutions. Mark Davies of Whistl raised what he feels is a genuine, wholehearted concern: clients are spending budget in the wrong place to get optimum return on investment. He used the Gartner Hype Cycle to demonstrate how he felt digital would receive a correction in the face of the increasing use of ad blockers, reports of ad fraud, the case of digital ads being shown next to unsuitable content and the lack of visibility of effectiveness. Mark explained how P&G publically questioned its digital advertising budget. He also showed how P&G are now investing in print, specifically in door drops. Mark had great advice on how to disrupt the disruptors. He encouraged the industry to show how your specific print product works with digital marketing, to make it as easy as possible to use and buy and to educate your customers on the value of your product. An interesting research paper was highlighted by Vanessa Clifford of Newsworks. It is called ‘Re-evaluating Media’ and examined the performance of different media channels. Its findings showed that newspapers and magazines are 3rd and 4th respectively behind radio and TV. However advertisers and agencies believed newspapers were join 7th and magazines were 10th. This shows the need to promote the effectiveness of the print channel. The C suite audience is notoriously difficult to reach. Dan Davey of Progressive Content shared a great case study about how, as part of an integrated campaign on behalf of KPMG, they produced a book containing information highly valuable to the target audience. Every copy given out at the event was taken away and it has been reprinted twice. An excellent example of the use of print work with other channels and achieve cut through. Dan believes the print industry should take the time to understand the audiences their clients are trying to reach and show why they will relate to print. 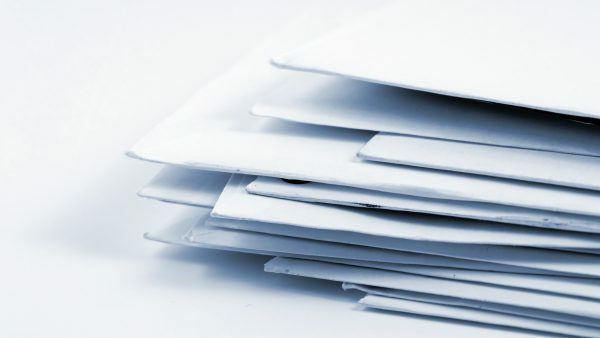 Put quality before speed and highlight the trust and value customers associate with print. Bridge the tech gap and seek wider knowledge about other channels being used. Look for opportunities to pitch the channel for where print stands out. 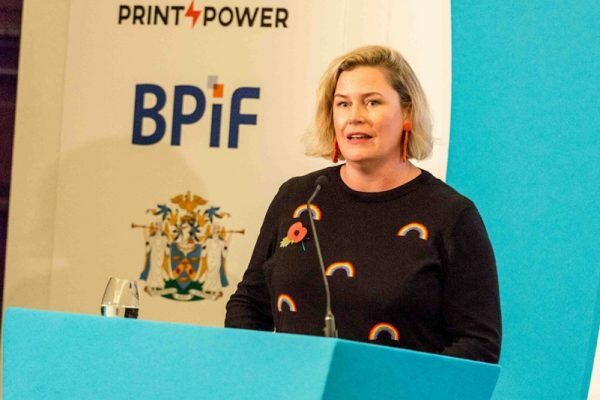 Katherine Punch from August Media loves print and made it clear that planners and agencies love print too. 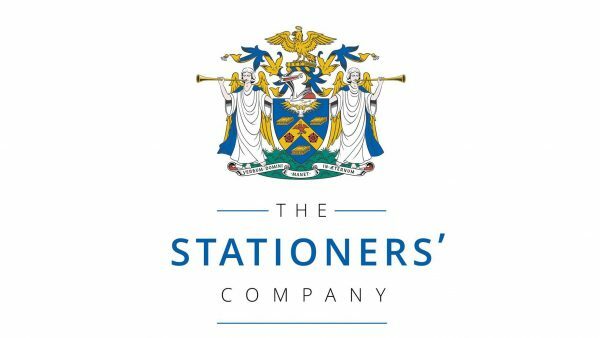 She contended that brand building was more important than ever and that print had a vital role to play. She stated print is powerful, builds loyalty, trust, is versatile, holds attention, is engaging and is complementary to other media. She was concerned that short term reporting and client expectations meant the valuable print channel could be overlooked and encouraged everyone to share the message about the value of print. One of the ways to do this is through supporting Two Sides. 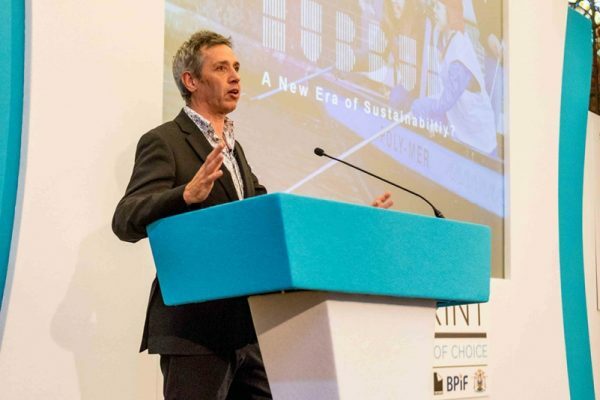 Jonathan Tame showed how Two Sides continues the fight against greenwash by encouraging global companies to remove incorrect statements about print damaging the environment and by continuing to promote how people love the printed page. There are many more initiatives – booklets, videos and the contentiously named factographs (sorry Greg) coming out of Two Sides – click here to see the new Two Sides website. 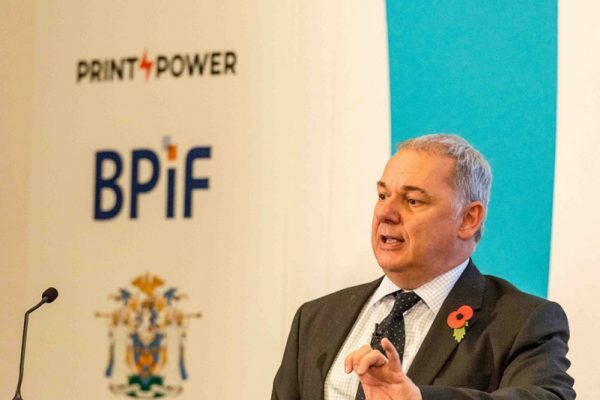 Charles Jarrold of the BPIF shared the latest Outlook which showed a mixed picture: the economy is still growing albeit slowly, printers are conscious of price pressure and cost increases and some printers are reporting margins of 6%. Charles also mentioned Brexit and confirmed the useful resources available to BPIF members to prepare for Britain leaving the EU. Jonathan Tame brought the seminar to a rousing end. He was quite clear, “It’s up to us to promote print media”. 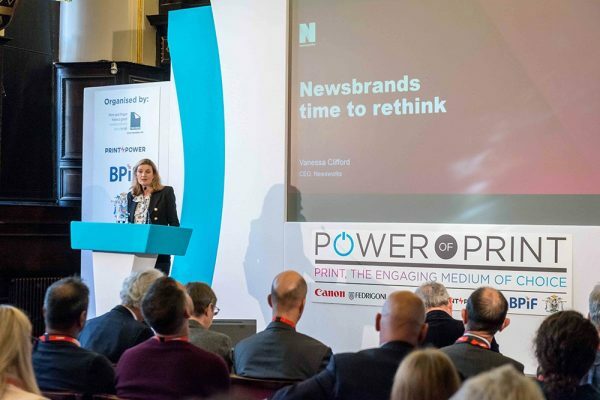 Given the depth and breadth of insightful information and advice shared today the print industry now has many more ways to convince its audiences of the power of print. 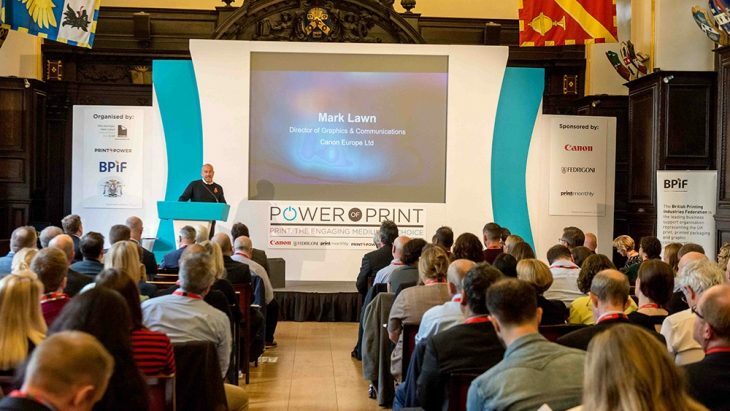 Next year’s Power of Print Seminar will be hosted on the 5th of November 2019. Subscribe now to keep up to date with all the latest news.